Product prices and availability are accurate as of 2019-04-18 11:41:21 UTC and are subject to change. Any price and availability information displayed on http://www.amazon.com/ at the time of purchase will apply to the purchase of this product. Winner of 2014 U.S. Gourmand Drinks Award • Taste 5,000 years of brewing history as a time-traveling homebrewer rediscovers and re-creates the great beers of the past. 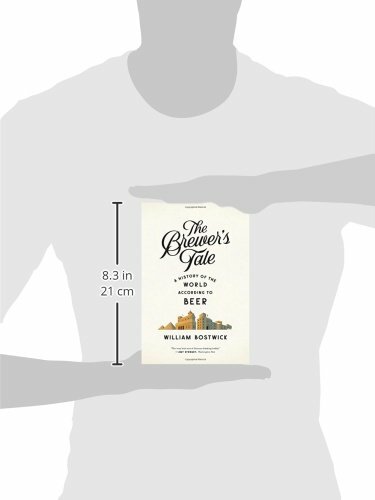 The Brewer’s Tale is a beer-filled journey into the past: the story of brewers gone by and one brave writer’s quest to bring them?and their ancient, forgotten beers?back to life, one taste at a time. This is the story of the world according to beer, a toast to flavors born of necessity and place?in Belgian monasteries, rundown farmhouses, and the basement nanobrewery next door. So pull up a barstool and raise a glass to 5,000 years of fermented magic. Wrapped around this modern reportage are deeply informed tales of history’s archetypal brewers: Babylonian temple workers, Nordic shamans, patriots, rebels, and monks. The Brewer’s Tale unfurls from the ancient goddess Ninkasi, ruler of intoxication, to the cryptic beer hymns of the Rig Veda and down into the clove-scented treasure holds of India-bound sailing ships. With each discovery comes Bostwick’s own turn at the brew pot, an exercise that honors the audacity and experimentation of the craft. A sticky English porter, a pricelessly rare Belgian, and a sacred, shamanic wormwood-tinged gruit each offer humble communion with the brewers of yore. 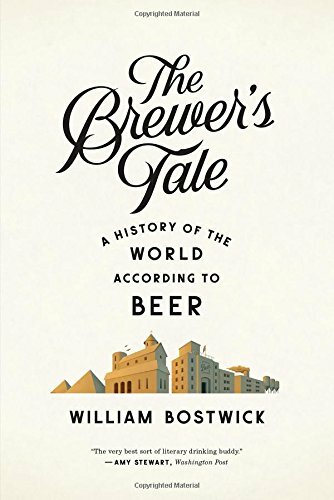 From sickly sweet Nordic grogs to industrially fine-tuned fizzy lager, Bostwick’s journey into brewing history ultimately arrives at the head of the modern craft beer movement and gazes eagerly if a bit blurry-eyed toward the future of beer.